As a public address system specialist, ProCom offers solutions for all types of public address and alerting applications. You will find our PAGA systems in use wherever the transmission of clearly understandable and targeted information is required. We can create an optimal solution that will take all your specific circumstances into account. Our electro-acoustic systems broadcast, in a clear and targeted manner, all the important information required in stations and on platforms, in sprawling industrial plants, on drilling platforms and in office buildings. Flexible zone segmentation enables information to be transmitted precisely to where it is required. Our built-in audio memory functions enables the broadcast of stored texts and tones for the purposes of informing, warning and alerting, manually or automatically. In the event of an emergency, our PA and altering systems help to transmit life-saving information to the relevant areas – thus safeguarding people, property and the environment. We also offer equipment suitable for use in areas with potentially explosive atmospheres. 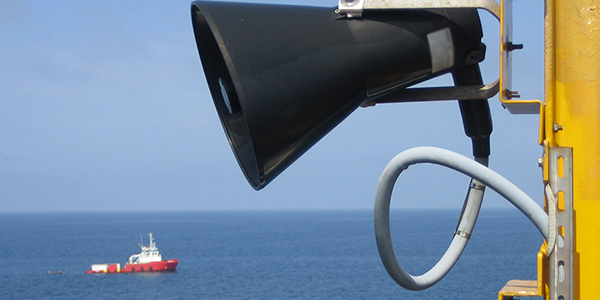 The seamless monitoring of our systems also ensures the arrival of information and warnings. Our modular system architecture can be adapted to your individual requirements and then be upgraded or expanded, quickly and easily, at any stage. Absolutely no problems are posed by a requirement to combine our PA systems with our intercom systems. In addition, we offer numerous interfaces for the integration and connection of control centres, radio and telephony systems, to name but a few. We have a solution to match your PAGA requirements. Contact us – we look forward to discussing the details.